This is a blow to the EU’s claims of being a leader on sustainable finance. The EU’s recent progress on sustainable finance hit a hurdle today, when the European Parliament voted against proposals which would have meant all economic activities got ranked on their environmental performance. Instead they want the so-called “taxonomy” only to show the very small proportion of activities which are fully ‘sustainable’ and leave the rest out. 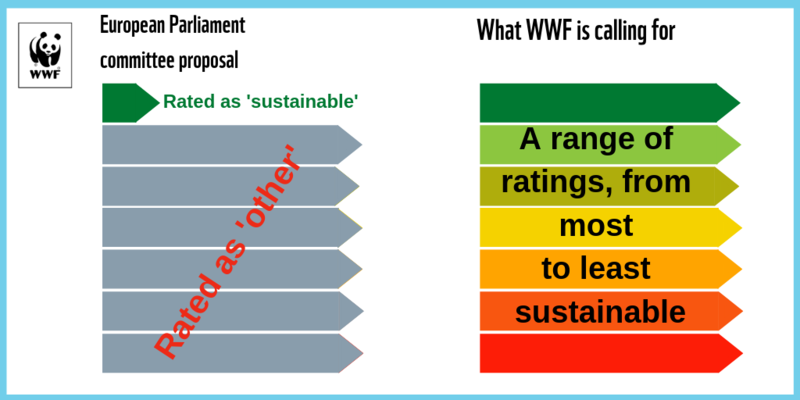 However, MEPs did vote to prevent any coal, nuclear and high-carbon activities from getting the ‘sustainable’ rating. They also required investors to disclose whether their financial products have sustainability objectives, and if they do, whether the product is consistent with the taxonomy. “This is a blow to the EU’s claims of being a leader on sustainable finance. To make more sustainable investments, investors, companies and banks need to know how relatively good or bad for the environment all economic activities are. Instead this result would only reveal the few which are definitely good for it. “At least MEPs did take steps to tackle greenwashing by saying no to fossil fuels and nuclear power being labelled ‘sustainable’. “The EU Council needs to take the lead now, and support a taxonomy which rates all activities according to a range of sustainability levels when it finalises its position in the next months, so that the most ambitious agreement can be reached in trilogue,” concluded Godinot. The EU Council is expected to reach its final position - the ‘general approach’ - in April.